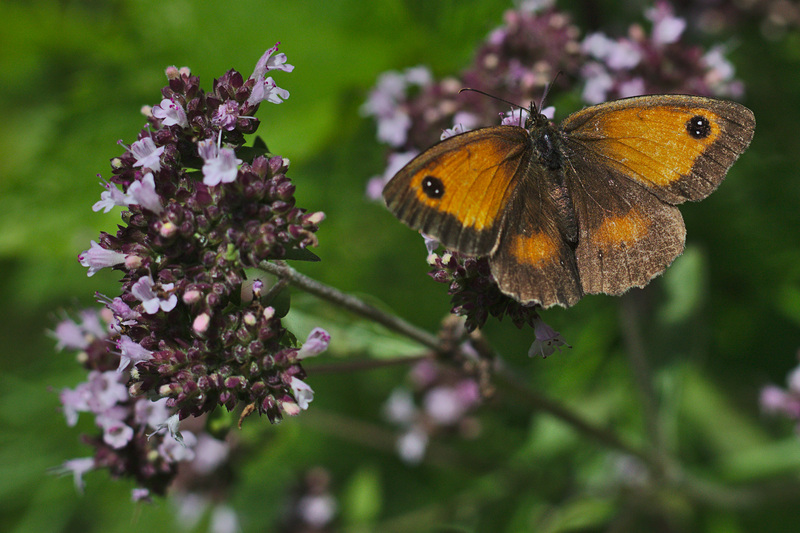 A Gatekeeper, Pyronia tithonus, a girl down from the moor. I am gradually acquiring a very basic reper­toire of common butter­flies. So far, this year I have learned 5 new tricks. Good dog. Almost as numerous as the Red Admirals — the Peacock, Inachis io. 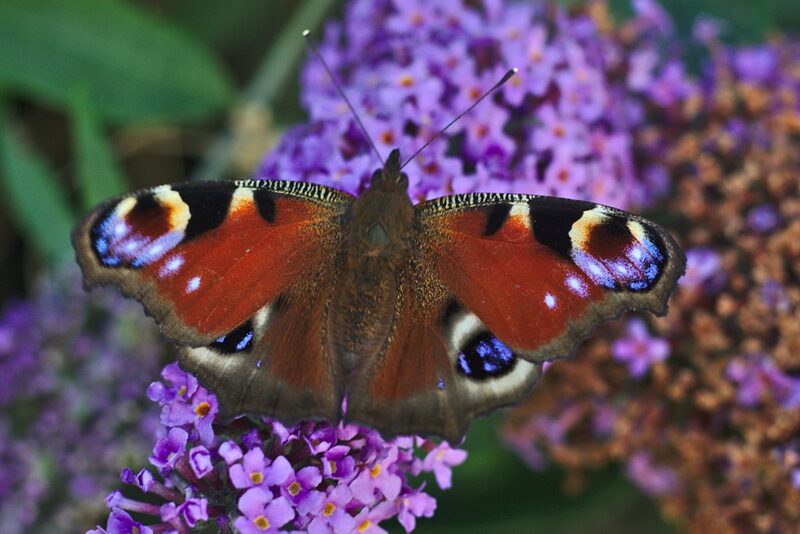 It’s not nick-named the butterfly bush for nothing … Jeez. 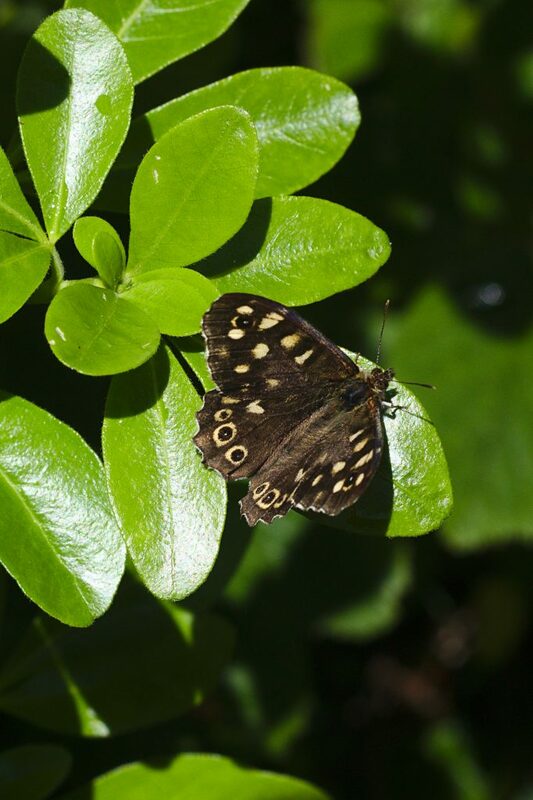 A Small Tortoise­shell, Aglais urticae and then lastly a Speckled Wood, Pararge aegeria, up from the valley. 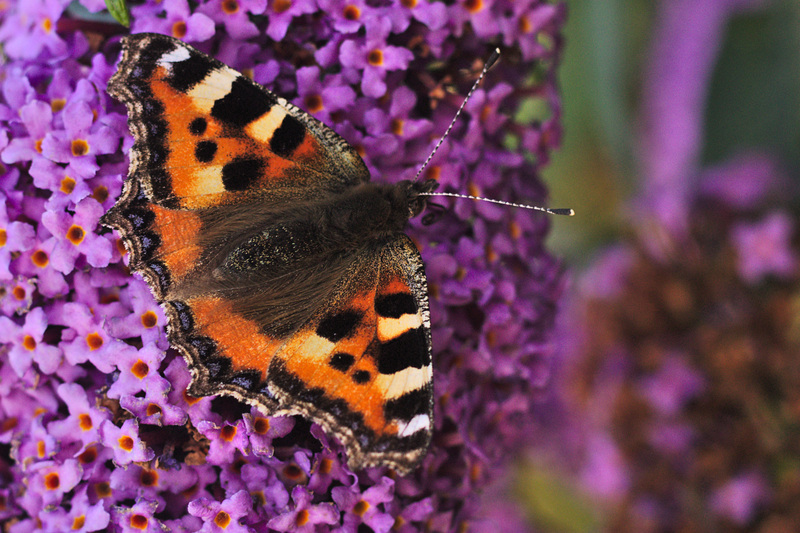 Luxuri­ating in a beautiful echo of summer down here.